Where can people find more information about you, your tv series and your equestrian travel services online? 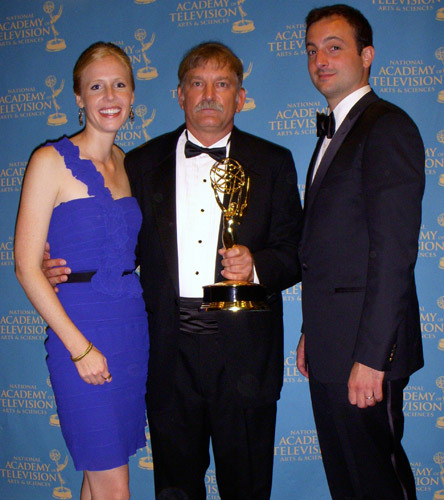 We have video clips, expert articles and travel blogs on Equitrekking.com, the companion website to the Emmy-winning Equitrekking PBS TV show. EquitrekkingTravel.com features the exceptional equestrian vacations led by local guides that we’ve filmed as we’ve traveled the world on horseback. 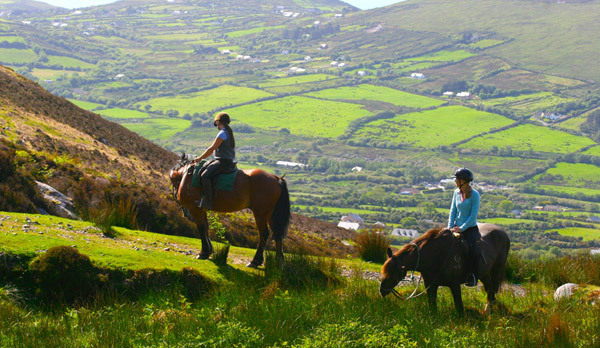 EquitrekkingTravel.com has original, first-hand travel blogs, photographs and video, along with in-depth trip itineraries and pricing, so visitors can plan their equestrian vacation. 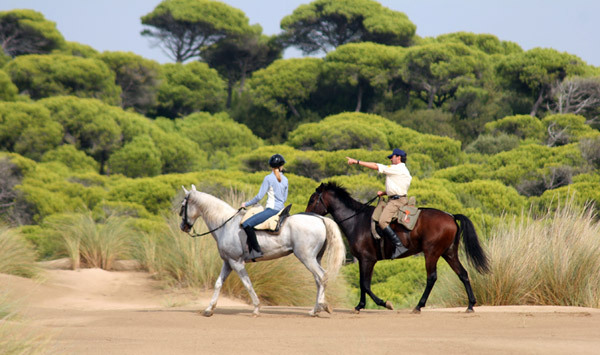 Both sites are great places to learn and dream about equestrian travel. Equitrekking’s shopping site, ShopDarley.com, features Equitrekking DVDs and the Equitrekking Travel Adventures on Horseback book, along with equestrian and travel photography, jewelry and more. I live in Bethesda, Maryland, right outside of Washington, DC. I’m close to three airports, which is helpful, and very close to my home stables, which is even better. I grew up in Myrtle Beach, South Carolina, just a few blocks from the ocean, so I was always at the beach as a child. I was introduced to horses when I was seven at camp in the North Carolina Mountains. Like many people, I wasn’t fortunate enough to have easy access to horses at home, so my summers riding at camp were something to which I always looked forward. I was always in awe of horses and really felt like I accomplished something when I would ride and be in tune with my mount. In college, I had my first chance to combine horses with another passion, travel, during a riding vacation at the Biltmore Estate in North Carolina. Riding on the same trails that George Vanderbilt’s guests traveled during the Gilded Age was a special way to learn about the area’s history, while doing something active with my mother, a fellow horse lover. I loved exploring on horseback there. After I moved to New York City to work in television, I was horseback riding every chance that I got. My television skills, from working on such series as 48 Hours and FRONTLINE, combined with my passion for horses, nature and travel led me to Equitrekking. It is a great thing to be able to work on something that you love on a daily basis. Riding horses in beautiful settings, meeting interesting people and exploring the world, is a dream. It’s nice to be able to share these great journeys with others. Your PBS series Equitrekking has won awards and taken you around the world on horseback. Talk about a dream job, can you give us some pointers for following in your footsteps? I combined my passions for horses and travel with my background in media and television. That’s how I came to Equitrekking, but everyone has different passions and skills. My advice is that whatever people really want to do, they should go for it and try. I always think it’s better to fail than to have regrets. Working with horses in front of a camera probably poses a number of comical situations, what is your most embarrassing moment? We do tend to have a lot of those. Actually, we put a bloopers video online to show off some of these funnier moments and a video about how we film. Since our crew is often all on horseback, it’s a challenge to travel and film in these remote areas. I don’t have a lot of time to get used to a lot of the different horses that I ride, so I’m learning their personalities as we film. A horse I rode in Alaska was so funny. We called her Princess, because she walked so delicately, avoiding puddles and mud. She was white too, so I figured she knew it was hard for her owner to keep her clean and white and was just trying to help. I was nervous at first to ride Arabians in the open desert with the Bedouin on my recent trip to Jordan. My guide Atallah is an award-winning endurance rider, so I worried that I might be overmatched by horse and guide. It turned out that my horse was fast and strong, but a good listener, so I had one heck of a ride. How many different places have you mounted up? We just filmed our 31st episode, so I’ve mounted up all over the world. We’ve filmed in Belize, Costa Rica, Quebec, Texas, Arizona, Utah, Kentucky, Vermont, North Carolina, the Georgia Coast, South Carolina, Wyoming, Colorado, all over Spain and Ireland, Iceland, Hawaii’s Big Island, Maui, Virginia Hunt Country, California Wine Country, Scotland, Alaska, Turkey, and Wales. We recently filmed in Uruguay, Jordan, the Turkish Coast and Istanbul and Alberta. Those episodes will debut this spring on PBS as a part of Equitrekking’s Fifth Season. One of the great things about riding in so many places is that I get to ride so many breeds and in so many different riding styles. The tack is unique to different countries and it’s designed as it is for a reason. Finding out why is always of interest, as it tells you something else about the local culture. Of course I have to ask, which one was your favorite? Ireland will always be close to my heart. I love the people and horses and the scenery is incredibly diverse and beautiful. You can certainly have some good craic, which is Irish for fun, riding with the Irish people. I really like Costa Rica and Alaska, because the horses that I rode there were so tough and pretty much as bombproof as horses can be, which allowed me to see some spectacular wildlife in some rugged locales. Turkey’s at the top too, because of the amazing history and culture. We rode through these bizarre geological formations, called fairy chimneys, in Cappadocia, and to Güzelyurt, a small village in Cappadocia where not a lot of tourists trek. Because of this, the villagers were very welcoming and curious to see what we were doing, especially as we rode through the town on horseback. Güzelyurt is literally carved into this big rocky outcrop. As we rode through the cobblestone streets, local children came out of school to greet us. In Güzelyurt, many people are still living a subsistence lifestyle, so we passed people laying out fruits and vegetables to dry on their rooftops and riding by carrying wheat on their donkeys. We were invited into a local home to drink homemade ayran, a salty yogurt drink that very popular in Turkey. Because we rode with a local, we were able to meet others in the village, before we visited Güzelyurt’s underground city. It was an amazing experience that we were able to film. It’s part of the Equitrekking Central Turkey episode and you’ll see more from Cappadocia in a new episode Equitrekking Turkey’s Coast, Cappadocia and Istanbul debuting this spring. Which one are you least likely to recommend? I really don’t recommend that people take trips above their riding level. If you’re looking to travel and ride, being truthful about your abilities is most important. You don’t want to be overmatched by your mount, as it can make for a dangerous situation. As far as locations, there are a lot of great places, but you need to plan many of them for specific times during the year, taking into account the weather and local holidays. In fact your series has turned to a great opportunity for viewers, your equestrian travel site allows them to visit the places you’ve shown on your series. Do your viewers share their experiences with you afterwards? I find a lot of the places that we visit and film through viewers. Firsthand suggestions help us know where to go next. I also hear from a lot of viewers who try the rides I’ve done, so that’s always fun, and of course easier now with Equitrekking Travel. I recently heard a funny story from Bree Bardarson, who guided me in Alaska and is featured in Equitrekking’s Alaska episode riding her horse Max. Max is an amazing, tough Percheron Quarter horse mix. Bree said that an Equitrekking viewer tried to purchase Max, flying from Tennessee to Alaska to find Bree. Bree wouldn’t sell him, as Max has saved her during many bear encounters. I’m glad that Equitrekking can inspire people to get out and ride and travel. What are some of the differences & similarities you see in horse cultures around the world? I see many similarities in the ways that horses have been used throughout history for work and transportation. I also see similarities in the ways that horses are celebrated today. In Iceland during the summer, attending a horse show is akin to attending an American football game. People were tailgating, socializing, beeping their car horns and cheering as Icelandic horses competed outside of Reykjavik. Icelanders have immense pride in their horses and competitions are major social events. Costa Rica’s Cabalgatas, these wild local horse festivals, bring whole communities together. I love that many world cultures still celebrate the horses that have been such an immense help to them throughout history. Throughout your travels you must have encountered such a wide variety of breeds, do you have a personal favorite? I have favorite personalities more than favorite breeds, though I’ve enjoyed riding some really different breeds. My Highland Pony named Gorm in Scotland was a character and a lot of fun to ride. Sure, he wanted to eat everything in sight, so I was constantly battling that in the Highlands. He was much stronger, so frequently got his way. I liked the feeling of being low to the ground as we cantered. It was really fun, like being in a low rider. I like riding horses that have some go to them, but are also good listeners. This horse Jesse I rode at Ravensdale in Ireland is one of my favorites. He’s a beautiful, well-trained Irish cob with some nice feathering. He was sweet, fun and a little fresh sometimes too. I was very impressed that he was only six-years-old at the time I rode him. You have also written a companion book Equitrekking: Travel Adventures on Horseback and maintain a travel blog, how do you find the time to do it all? I don’t have time to do everything I’d like to do. There’s not enough time in life! I’m very motivated and excited to work on Equitrekking, so that keeps me constantly multi-tasking. Having a talented small team of people who work with me is helpful too. Horses, traveling & tv show aside, what else gets you out of bed in the morning? My cat, usually. She’s on a strict morning breakfast schedule and very vocal, so feeding her is my first duty of each morning. Also, I love learning new things and really do see life as an adventure. Whether it’s a bad or good adventure, you at least have a good story. That makes daily life interesting to me. I have so many things I enjoy doing with my family and friends—eating, cooking, playing tennis, biking and generally just enjoying their company. Last question: If you could give one piece of advice to someone getting on a horse for the first time, what would it be? Breathe and enjoy it. I think confidence and a calm, open attitude is key. You’re not going to mount up for the first time and ride off like John Wayne or some Olympian. Riding is a lifelong sport and there’s always something new to learn. One of my favorite parts of riding is connecting with my horse, because that’s my partner. If you can feel that connection, you’re in for a special ride. Many thanks to Darley for taking time out of her busy schedule to answer the interview and share a little about herself. For more information about her show & her travels be sure to check out the Equitrekking site & Equitrekking Travel to learn more about your next vacation. This entry was posted in Interviews on February 16, 2010 by The Equinest. I absolutely need Darley Newman’s job of traveling on horseback across the globe meeting people from different cultures. Does she need a co host or a male host? I’ve been on tv before on the “guiding light”, but this would be amazing. I’m currently a seasonal wrangler in Colorado, but want to do it in different countries each year, each season, or whatever amount of time possible. I’m on fire about this and know I’m the perfect guy to do it!!! I’m 26 and probably the only wrangler/cowboy from New Jersey. I’ve done it all growing up in NJ, and rode horses on the down low because it wasn’t cool to do it here. I’ve ditched my career as a financial advisor at Morgan Stanley to follow my passion of being a wrangler/equestrian guide in the u.s. and across the globe. This is my passion and dream, and want whatever chance possible to do anything close to what Darley Newman is doing.